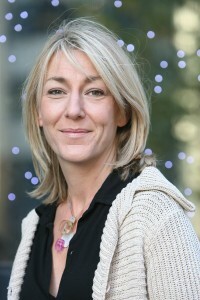 Nathalie Lenfant has spent the past 8 years working in an international broadcasting environment, acting as France 24 Communications Director from 2006 to 2012, then becoming Marketing Director for France Medias Monde, the group in charge of French international broadcasting services, comprising FRANCE 24, RFI and Monte Carlo Doualiya. Nathalie started her career in France as a reporter after studying journalism in the United States. Her professional experience includes various positions in Communications and Counselling (Advisor to the leader of the National Assemblée – Lower Chamber- in audiovisual matters) , Public relations , Press relations, Production and Directing news and documentaries (head of News for local TV, and director of two 52 mn documentaries for ARTE). Through these positions, Nathalie Lenfant has acquired extensive knowledge of both French and International media environments.